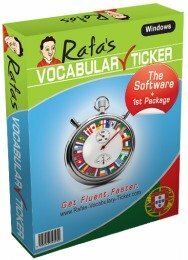 A full range of good Portuguese language resources carefully selected here for you. You may have come to this page because you are looking for Portuguese language resources and you may be willing to find different types of materials to learn Portuguese. As a matter of fact, there are plenty of Portuguese language resources available for you to learn Portuguese out there. Here I will present to you a range of resources that you can have access to by categories. All you need to do is follow the links. All of them have been carefully selected and professionally used by me and by students of mine in class and as self-study material. Because everybody is different and you will learn differently than anybody else. In case you don't know how you learn, or what your learning style is, don't worry. click here to find out how to learn Portuguese and click here to find out your learning style. These pages will help you select the best Portuguese learning resources. Up to now, I have taught Portuguese to thousands of students, at universities, colleges, in-company, privately, over the internet, etc., so, my experience in teaching Portuguese lead me to find, use and keep up to date with the latest and best resources available. This is the main reason I thought I should suggest a few different ones for you here, and all the Portuguese language resources I present to you here are trustworthy. Click on the links or pictures to visit or to purchase them. You will definitely benefit from any of them. Are you ready? Here you go! 3. Book and Audio resources (Combo). 5. Internet and on-line resources. 6. Language classes, schools and tutors. PS: This Pimsleur program below is an audio program for European Portuguese. If you want to start learning straight away, you can start with this course which includes Lessons 1-16 from the European Portuguese Level 1 program - 8 hours of audio-only effective language learning with real-life spoken practice sessions. Each lesson provides 30 minutes of spoken language practice, with an introductory conversation, and new vocabulary and structures. Detailed instructions enable you to understand and participate in the conversation. 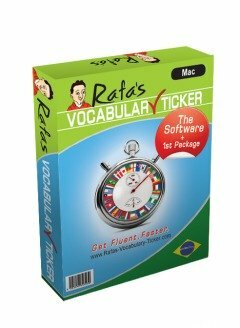 Practice for vocabulary introduced in previous lessons is included in each lesson. Topics include: greetings, numbers, meals, shopping, telling time, scheduling activities, and asking and giving directions. The emphasis is on pronunciation and comprehension, and on learning to speak European Portuguese. 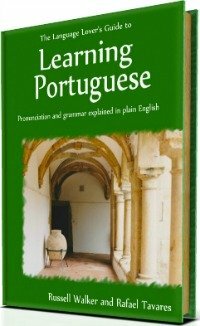 Reading Lessons begin at the end of Lesson 11 to provide you with an introduction to reading European Portuguese. The Reading Booklet to be used with the audio Reading Lessons must be downloaded. Go Back From Portuguese Language Resources To Home Page.